Lois A. Albright is a founding shareholder in Albright Kittell PC, along with her husband, Christopher M. Kittell, and has practiced law in Tillamook, Oregon for over 35 years. Lois is well-versed in many areas of the law, but primarily focuses on family law (including divorce, modifications, domestic partnerships and adoptions), guardianships and conservatorships, real estate, and civil litigation, (including foreclosures and boundary line disputes). Lois also represents the City of Bay City, the City of Nehalem and a number of special districts. Lois is active in the community and serves on the YMCA Foundation Board of Directors, is a past President of the Tillamook County YMCA, a founder and past Chairman of the Tillamook Bay Child Care Center, a past President of the Tillamook County Bar Association and is active as a Eucharistic minister at Sacred Heart Parish. Lois has also served as Chairperson of the local Oregon State Bar Ethics committee and has served for many years as the Chairman of the Tillamook Bar Association Scholarship Committee. 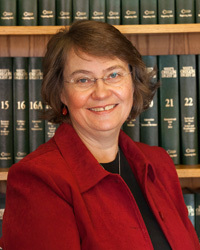 Born and raised in Wisconsin, Lois moved to Oregon to attend Lewis & Clark Law School (also known as Northwestern School of Law). Lois and Christopher spent several years as commercial salmon fishermen based in Pacific City, Oregon before settling down as full-time attorneys. Lois and Christopher have three grown children and three dogs, including Buddy (aka “Boss”), who is their canine comfort support staff at Albright Kittell PC. In her free time, Lois loves to travel with her husband and assist in community projects.